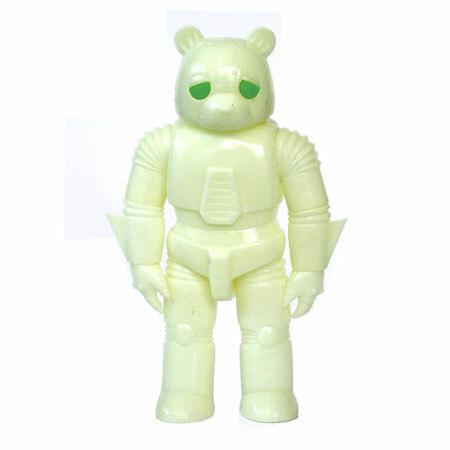 This page features a list of all the toys I've officially produced and made available to the public. 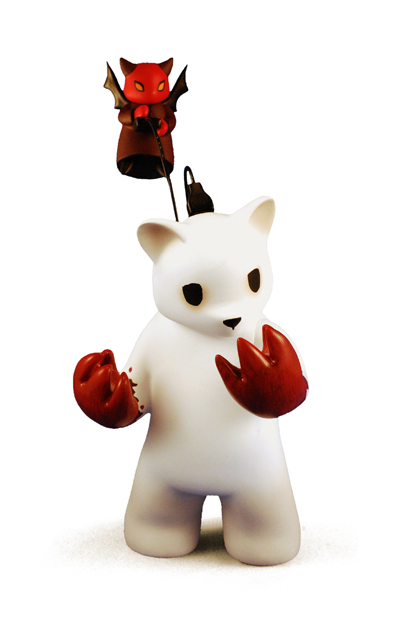 This "artist colorway" edition of Mugs Bunny was limited to 90 sets, and distributed by Luke Chueh exclusively. 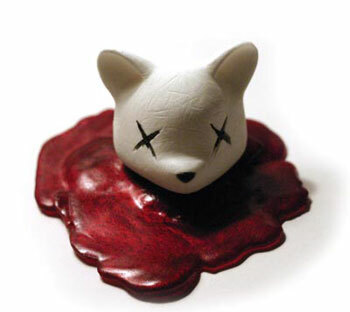 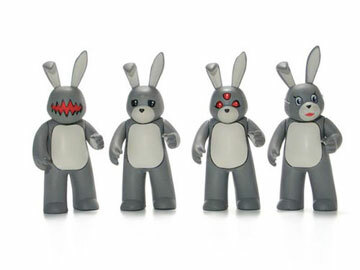 The third colorway of The Vivisect Playset features the black version of Mugs Bunny. 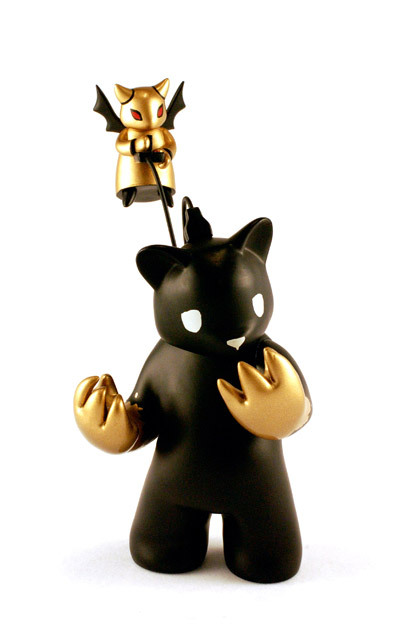 The series is sold as a complete set with all 10 figures by all 7 artists. 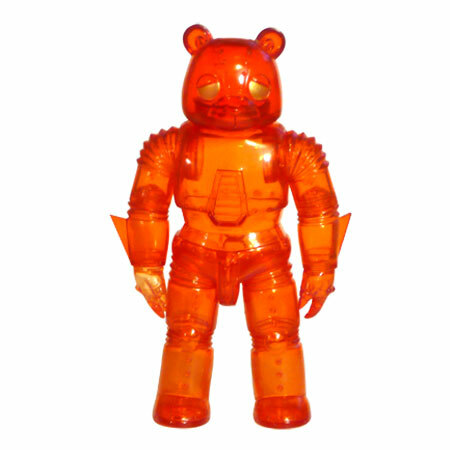 This series is limited to 1000 sets. 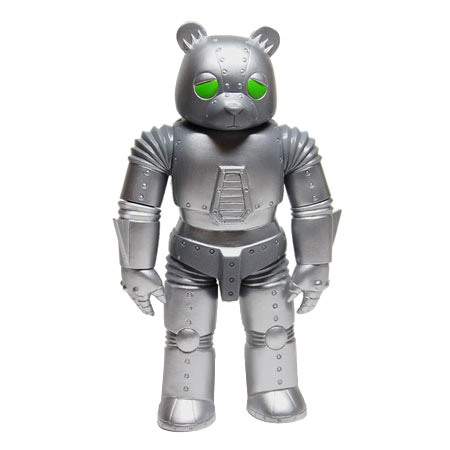 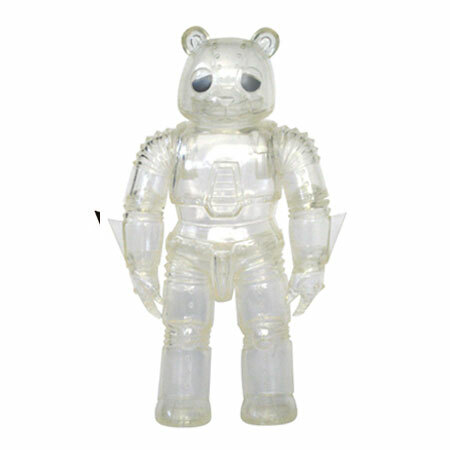 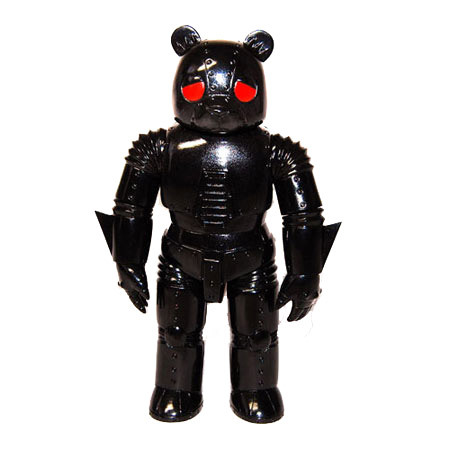 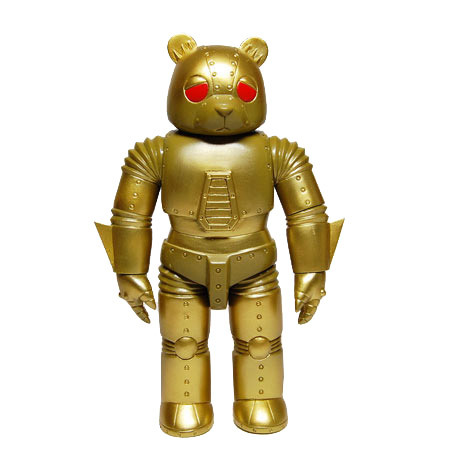 NOTE: Inspired by Japanese "kaiju" toys, (monster toys as typified by characters like Godzilla), my contribution to the "Kaiju for Grownups" series combines the mechanical aesthetics of Mecha Godzilla with with my sad bear.